I am going to start this post with a warning. Please be aware that some of the images might be disturbing to some readers, read on at your own discretion, you have been warned! I enjoy Halloween, and as you all know by now I enjoy Burlesque as well, so when you combine the two I just have to crawl out of my coffin and see what monster fun is in store. 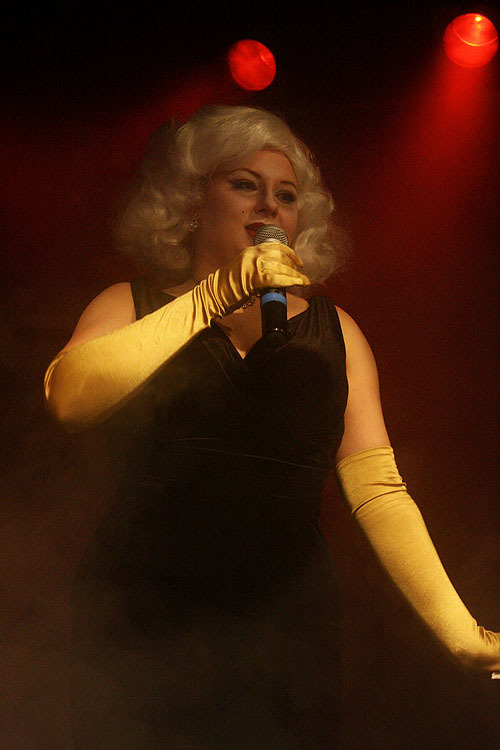 Rising from her grave to host the evening was the very very very late Marilyn Monroe, (although I have a sneaky suspicion that it may have been in fact the lovely Stella Polaire) even doing her rendition of Happy Birthday to you, for a lucky member of the audience. Holy Curves performed a new routine that was amazing. Fans of Iron Sky will certainly connect with this routine. Holy Curves once again showing that they are always looking for ways to push themselves and to entertain the audience. Rudie Ruthless teased us with his rebellious ways. Rudies passion and enjoyment, along with his eagerness to make each and every performance of his as entertaining as he possibly can, shine through to the very end. In any good party you can find someone with a bloody Mary, and this party was to be no exception. Lola Van Dyke brought her own bloody Mary with a twist, and that twist was where she kept her Tabasco and celery. Next we were to be delighted and horrified by two excellent young performers, Mechanical Demon and Payaso Adam West. These young men had an energy that just kept coming, and took the audience with them. Even zombies need a holiday every now and then, as was so well demonstrated by the zombie remains of Olivia Rouge. Even as a zombie Olivia is a true beauty to behold. Cherrie A Dorable treated us to her new routine, Dark Woods. This is no deer caught in the head lights, but a beautifully put together and executed routine. This breath taking routine is just splendour. With a bit of a split personality Anna Fur Laxis teased us with her tribute to Bettie Page. This routine is full of different techniques and is so enjoyable. 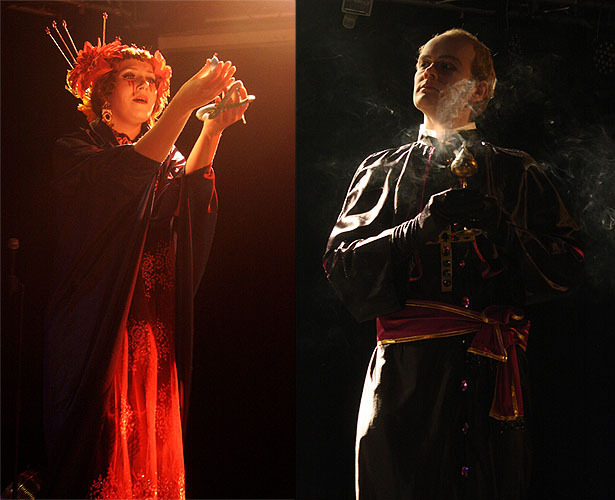 Mimi de Froufrou and Lafayette Lestrange represented The Finnish Blonde Burlesque Troupe with their latest routine. This is such a remarkable routine, with amazing costumes. This troupe never fails to deliver an outstanding performance. Anna Fur Laxis returned to perform a new routine, one that had many layers, and kept the audience enthralled. Lucie GoodNess teamed up with Rudie Ruthless to bring us a performance on their own road to hell. It was a stark reminder to never let zombies drive. With so many great performances it fell to Lola Van Dyke to provide the closing routine, and what a closing it was. Lola’s amazing closing routine could have come direct from an omen film, and left the audience with something to talk about hours after. The pick up girls for the evening had been the most attentive and delightful Betty Bellevue and Elisa Day.